Most people believe that spiritual abilities are the purview of a few gifted individuals. They are fascinated by mediums that can speak to spirits and bring them messages from the other side. They enjoy watching ghost hunter programs on the television and are entertained by psychics who predict the future, or who help the police find crime victims and perpetrators. They are completely amazed by these and other extraordinary phenomena. Perhaps you are one of these people?  So it may shock you to hear that everyone is psychic. Yes that’s right. I said everybody, including you! The truth is that everyone is able to tune into the spirit realm.  Being psychic is not a special gift that only a few amazing people can tap into. It’s a birthright that each and every one of us shares. Just as you have a physical body that comprises arms and legs and blood and bones, you also have an energy field that has its own structure and which contains information on your spiritual abilities. This electro-magnetic field is made up of inter-linking channels, called meridians, and energy vortices, called chakras. The chakra system is like the book of you, as it contains a record of all of your experiences and also has information on your spiritual abilities. Every human being has this energetic counterpart to their physical system. That means we all have spiritual abilities! Most people turn their spiritual abilities down. A great example of this is clairvoyance. There is an energy center in the brow, called the sixth chakra, which is sometimes referred to as the third eye. It contains information on clairvoyance, which is the ability clearly see spiritual phenomena. Everybody has a sixth chakra and so everyone has this psychic ability. Unfortunately many people have closed their clairvoyance down, along with their other spiritual abilities, ignoring the subtle signals received through these senses in favor of physical stimuli. This is due, in part, to our cultural context, where we tend to value the intellect over intuition. Most children are spiritually open. I’m sure you have heard about the imaginary friends that some children speak to. The truth is that they are communicating with spirit. However, as the adults around them are not having the similar experiences, they invalidate the child’s experience. The child learns to exhibit behavior that meets with the approval of the parents rather than receive this invalidation. The good news is that we can retrain ourselves to tune back into our clairvoyance and the many other spiritual gifts that we possess. Meditation is a great way to quiet the signals from the physical world and tune into the subtle signals from the spiritual realm. There are meditation techniques that make it easier for you to do this. The Midas Tree teaches you how to open your spiritual abilities. I wrote my novel The Midas Tree to bring these techniques to a wider audience. The Midas Tree is a spiritual adventure story about a boy who enters a magical world inside a tree. He meets many challenges and learns to overcome them by relinquishing his ego. He is helped by mystical guides who teach him how to meditate and use his spiritual abilities to overcome his challenges. If you always thought that being able to receive messages from the beyond, see ghosts or track missing persons using spiritual senses was in the realm of science fiction. Then think again. If you are a fully fledged member of the human race then you can do this too! Dr Lesley Phillips is a psychic, healer, speaker, author, workshop leader, spiritual and meditation teacher based in Vancouver BC, Canada. I recently had an amazing and very insightful one hour reading with Dr. Lesley, which included ‘an aura reading’ and also a ‘past life reading’. I was really impressed with how precise and relevant all the information that Dr. Lesley conveyed was – including aspects of past lives which are connected to current-life themes I have been experiencing. The session was very confirming, and has provided me with an increased sense of self-awareness. In addition to this, Dr. Lesley pinpointed the origins of a block which I had recently discovered, but had been unable to access on my own. Not only did she describe in detail the core aspects of it, she also did energy healing work within the session, to support clearing of the issue. Thank you Dr. Lesley for your compassionate and loving presence and wisdom.